Save on 100's of items, view their latest deals and specials. Active and retired military and their spouses receive a $15 Sam's Club gift card when they join or renew as a Sam's Club Member. Must present coupon at time of transaction. 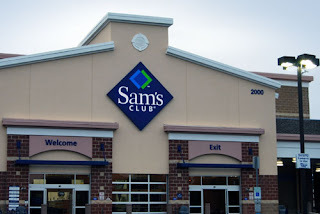 Sam's Club is a chain of membership-only retail warehouse clubs. Founded in 1983, it is owned and operated by Wal-Mart Stores, Inc., Offer great value merchandise and food for retailers and end users.